Okay. I knew something was amiss when I awoke at two in the morning because my poor little brain was working overtime. I had a check list that was churning round and round in my head that my subconscious quite obviously thought needed more attention than a pillow, a mattress, and a warm duvet, and so I gave in. I woke up and debated with myself - for around ten minutes - whether I should actually venture up a flight of stairs to my home office, switch on the computer and extrapolate those thoughts into the spreadsheet that was clamouring for my input. "And what about...?" I thought. "And I mustn't forget..." ran through my mind. "Of course, there's also..." it occurred to me. Another hour passed and the same story. Bit like a loop-de-loop. Kept on going through the motions, toying with ideas, debating the merits of actually getting out of bed at such an early hour versus just sticking my feet out from under the covers, thus showing 'intent'. And then again. Ridiculous. Not sure what was irritating me more: my over active brain or my bone lazy limbs. Finally, FINALLY the alarm went off. OH in his most irritating fashion hit the snooze button about seven thousand times (typically right as the news was coming on which I wanted to listen to) and I dozed in a post-poor-sleep-reminiscent-of-broken-nights-with-a-new-baby slumber. But it was a productive day after all. Lots of phone calls, lots of networking, lots of planning, lots of meetings. All good stuff. I even dealt with the items that had been keeping me from sleeping. They were all related to mini rugby. Tsk. 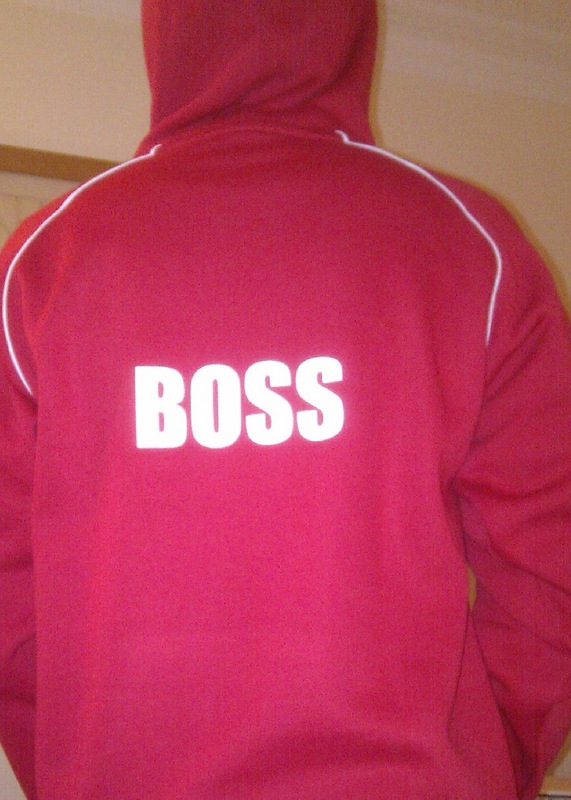 That's what happens when you're Team Manager for the U7s. Don't mess with me, capisch?